Can you recognize someone’s voice just by hearing them on the phone? Most people can but did you know that you can do the same thing with birds? Every bird species has its own call and/or song and by knowing that sound it helps you to identify it. So how do you identify birds by sound? It really isn’t that difficult if you pay attention and can be a handy talent especially if you are a birdwatcher. When I first started out watching the birds in my backyard I really never paid much attention to their songs or calls I just enjoyed seeing them. It really never occurred to me that the calls were that different from each other. I grew up in a small city town and all I ever really noticed were Cardinals and Blue Jays every once in awhile but mostly Sparrows and Crows. So not really exciting if you ask me. Of course I was much younger then too. If I were to go back to that town I would find many other species of birds besides the Cardinals and Blue Jays, because now I am paying a lot more attention to them. However, there still weren’t as many bird species as I saw living in my first house on six and a half acres and surrounded by woods and a river about 300 yards away. This setup brings in different species of owls such as Barred, Barn, and Screech Owls, Red-tailed Hawks, Cooper’s Hawks, and Sharp-shinned Hawks, Pileated Woodpeckers, Hairy and Downy Woodpeckers, Red-bellied Woodpeckers, Northern Flickers, many different Warblers, Grosbeaks, Wild Turkeys, Belted Kingfishers, and sometimes even Wood Ducks just to name a few. Bird Songs or Bird Calls? Each bird species has a variety of calls and songs that is part of their vocabulary. 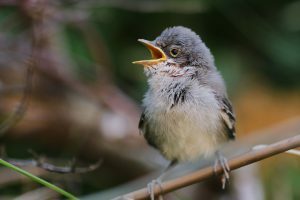 A bird call is a shorter, less rhythmic sound used to communicate. Birds call for their young or their mate, to announce a predator or another bird intruder of a different species, or to scold an intruder. A bird song is longer and a more complex vocalization and usually is performed by males. Male birds sing to defend and protect their territory as well as to show off to females trying to entice them to be their mate. Female birds found in the tropics are known to sing as well. How Can You ID Birds By Songs And Calls? There are a couple of ways to learn the songs and calls too. One is by observing. When you see a bird in your yard or wherever, singing or making its call, take note of what bird it is. After a couple of times doing this you should be able to become familiar with it. An unmistakable bird call is the Blue Jay. Its call is a harsh, jeering jaay or jaay-jaay sound. 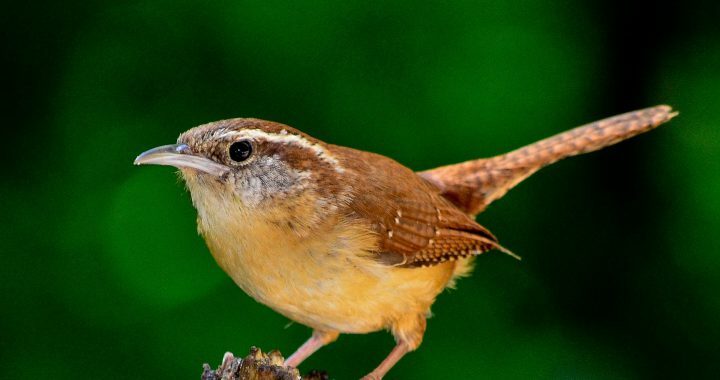 Another unmistakable bird call that I have learned is the Carolina Wren. 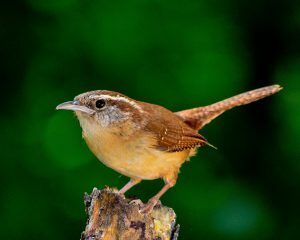 It’s such a small bird but its call is pretty loud which is a teakettle-teakettle sound. 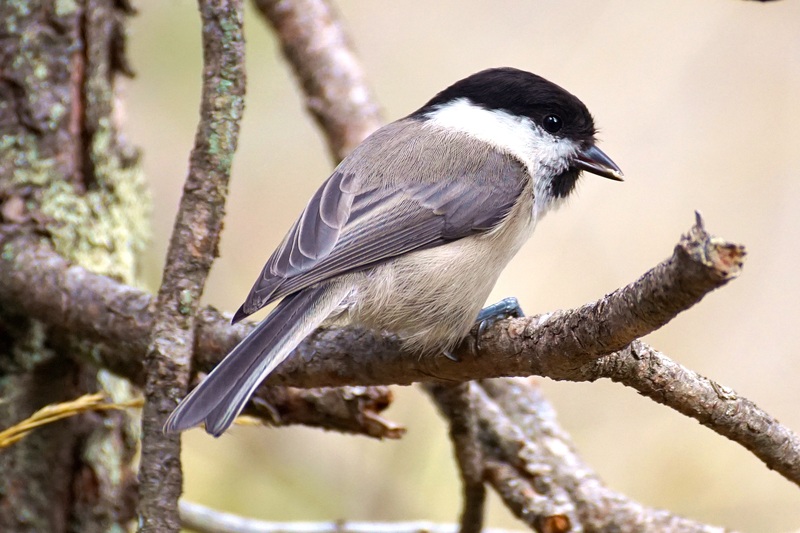 Another way to learn bird sounds is by listening to recordings of birds that you happen to see. Play the sounds often to help make it stick. This is something that my fanatical husband Jeff likes to do prior to going on vacation. When we are going out west or out of the country where there are different species of birds, he gets a tape of that particular area’s bird sounds. He listens to them over and over again mainly for repetition of sounds and pitch which helps to zero in on a particular specie’s call. That way when out in the field he will be able to easily identify which bird it is. If you choose to do this yourself you can get apps for your phone or Ipad to download (IBirdPro is a good one) or there are audio CD’s such as the one by Peterson Field Guides which is Birding By Ear . On this CD the authors teach you how to distinguish the subtle differences of different bird sounds. They do this using techniques such as phonetics, mnemonics, and descriptive words which makes it easier to learn. 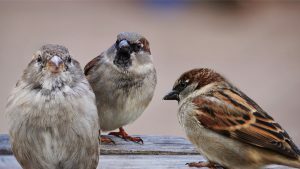 All bird species make their own sounds (i.e.songs and/or calls) whether it be for finding a mate, calling to their young, warning other birds of an intruder such as a predator or another bird species, or claiming their territory. Being able to identify a bird’s sounds helps you to identify what bird it is. Birdwatchers in particular like to be able to do this as it makes it easier for them when they are looking for them out in the field. It may take a little bit of time but you can learn a lot of bird calls and songs with practice. One way is to just be observant. When you hear a bird singing or calling check out to see which one it is. The more you hear it the more you are able to remember it the next time. Another way is to listen to recordings from an app that you can download on your phone or Ipad or from an audio CD. By listening to it over and over you will learn to recognize bird’s calls. That’s what my husband does each time prior to a vacation where we will be seeing different bird species other than what we have where we live. That way when we are walking along out in the field or on a hike and we hear a bird call my husband will be able to identify what it is. Do you have a particular way of identifying bird sounds? I would love to hear from you. Please let me know in the comments below.